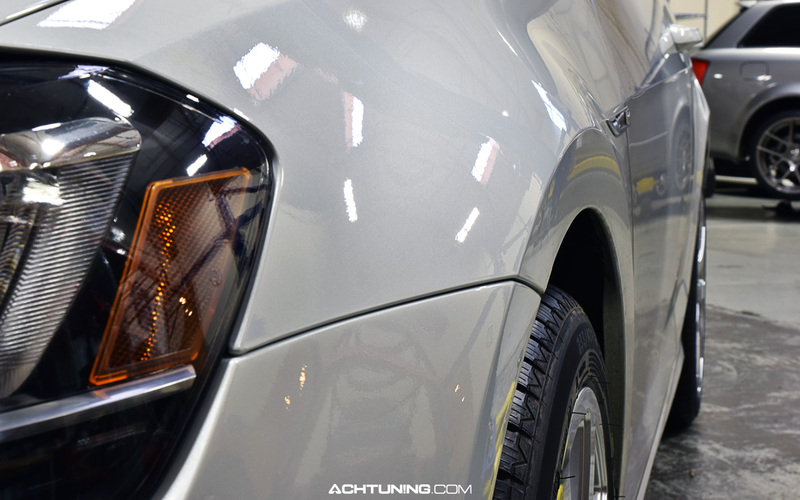 Nick's Golf 7 R Is Winter Ready! Winter is here, and Nick is well prepared for snow covered roads after picking up a set of 18x8.5" HRS4-DTM Hartmann Wheels wrapped in Winter rubber, his new and dedicated Winter wheel set-up. 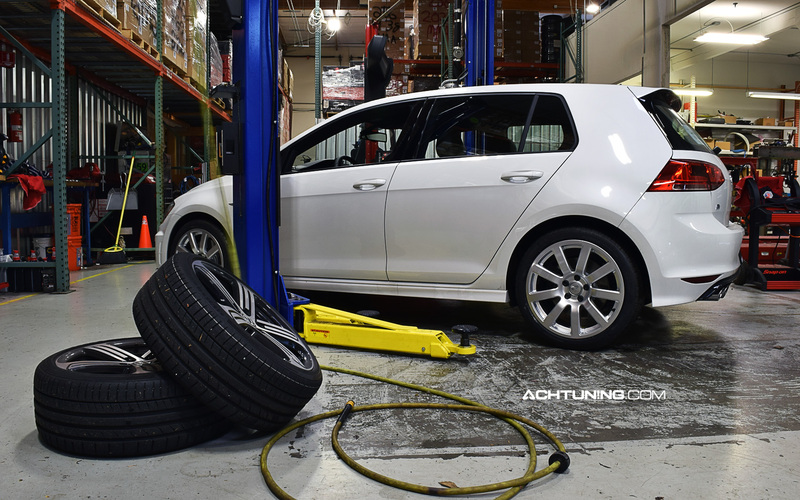 Compared to other 18" wheel options in the Hartmann Wheel line-up for VW (Mk5-7) Golf fitment, these HRS4-DTM wheels provide a better contact patch with a half-inch wider width, allowing our customers to run a 235/40 tire. The offset of the HRS4-DTMs are perfect, putting the face of the wheel just behind the edge of the fender for an aggressive look. 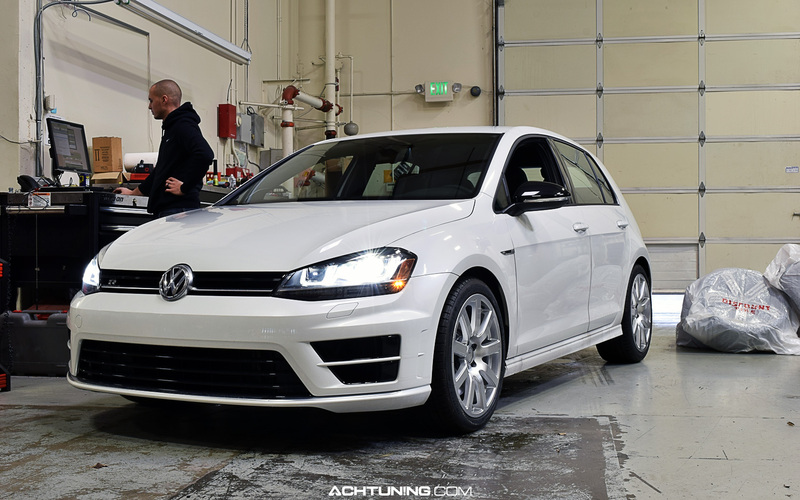 An APR Stage 1 software upgrade was also added to enhance this Golf R's performance capabilities. The extra ability to grip the road with the slightly wider tire is an added bonus! Since they share the same wheel specs, the 18x8.5 +47 Hartmann HRS4-DTM Wheels also fit the Audi A3 and TT, in case you were wondering. Call our sales team at 425-895-0000 and pick up a set, or visit our online store and we'll ship a set out to you right away!